Graduation is an exciting time each year. Whether it’s kindergarten, high school, college or even a dance class (or karate!) it’s a time filled with celebration and smiles. It can also be an expensive time – but it doesn’t have to be. We partnered with some great bloggers to help you make the most of your party budget while having Instagram-worthy pictures. Headbands & Sprinkles, Oh My! Courtney’s Sweets took the Carvel Family Size Ice Cream Cake and personalized it with piping and sprinkles that matched the graduate’s decorations and favorite color-pink! Little grads love to help with sprinkles. 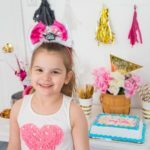 For items she needed to purchase, she chose to venture to dollar stores as well as party stores. 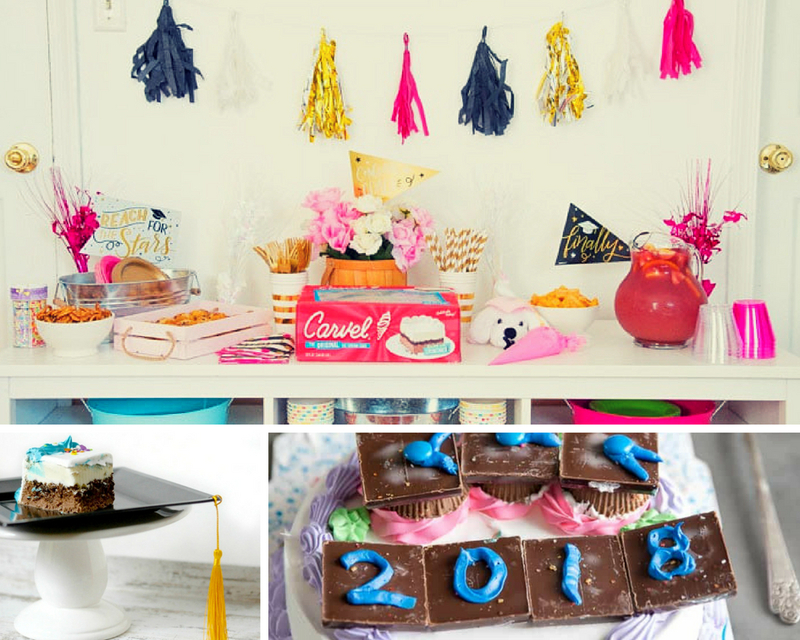 Instead of the traditional graduation cap, spice it up a bit with a crown or a graduation headband that match your decorations. Our friends at The Good in the Simple put a fun spin on graduation caps with these colorful tassels. Sprinkles and glitter letter candles made her cake pop. Little grads love to help with sprinkles! 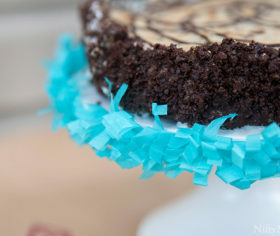 Simply take ordinary black paper plates under a hole puncher to make these super cute plates. 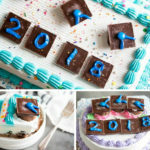 The ladies at Lemons for Lulu had our sweet tooth drooling with their peanut butter cup and chocolate caramel graduation caps ON TOP of a Carvel Family Size Ice Cream Cake! 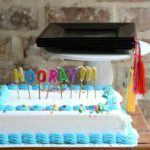 They made this idea even more accessible by showing how it can also work with our smaller, 8-inch cake. 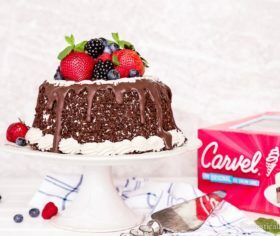 – Customize your Carvel Ice Cream Cake with piping at your in-store bakery – for free! – Leave your cake in the freezer until 15-20 minutes before serving. 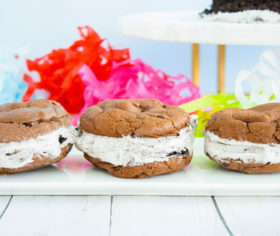 – Be sure to take pictures of your event and tag us on Facebook (@ILoveIceCreamCakes) so we can oogle at the fun times!